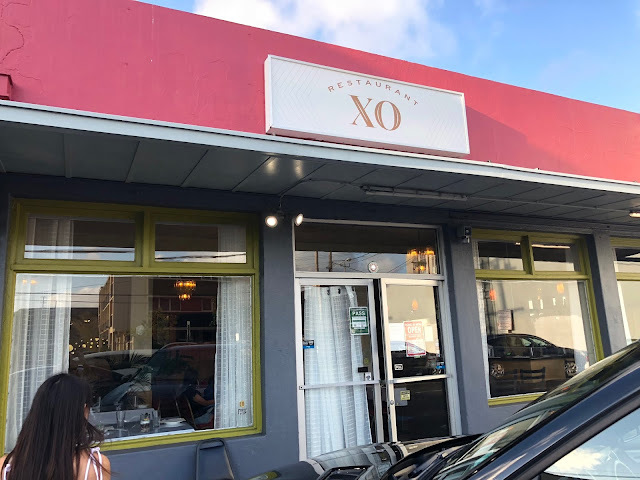 Enjoyed our very large meal at the new Restaurant XO in Kaimuki. Heck we ordered almost everything on the menu and was not disappointed. 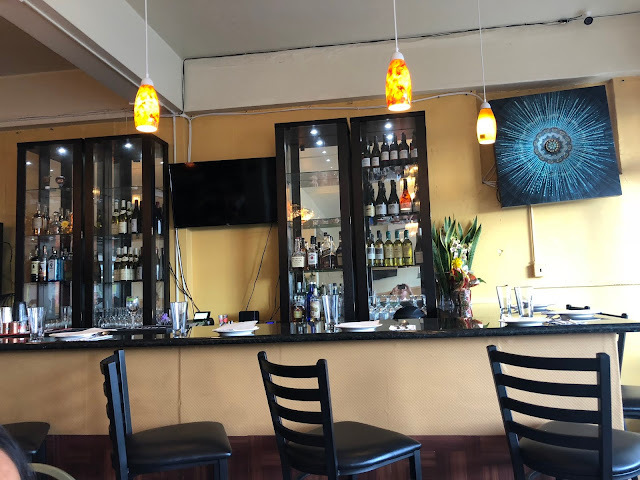 Chef's Kenny Lee and Aleina Chun formerly of Senia are doing a great job elevating Chinese and Asian flavors while keeping it uncomplicated. Recommend you eat family style here so you can enjoy more dishes. Portions are good size so this worked out perfectly for our family. The Cauliflower ($10) started the meal. Highly recommend this dish as an appetizer. The Butter Sauce, Pickled Onion and Cilantro all come together and make this delicious. Entire family loved this. 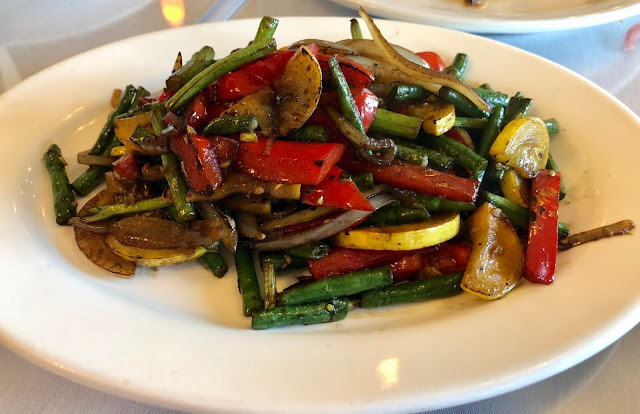 The Wok Vegetables ($7) were refreshing, fresh and flavorful. 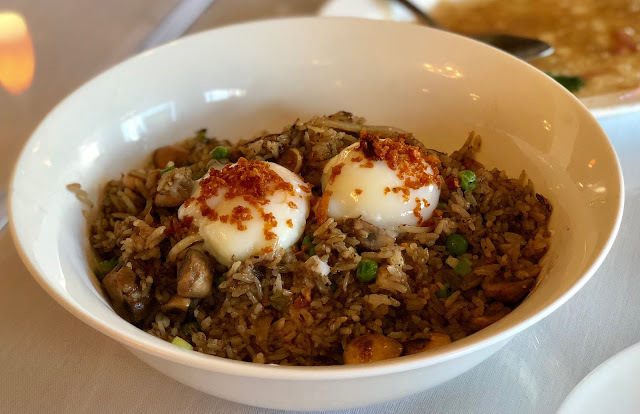 The House Ginger Fried Rice ($14) with two poached eggs on top goes to another level after you smash open the eggs and let the yolk cover the rice. Yummy. 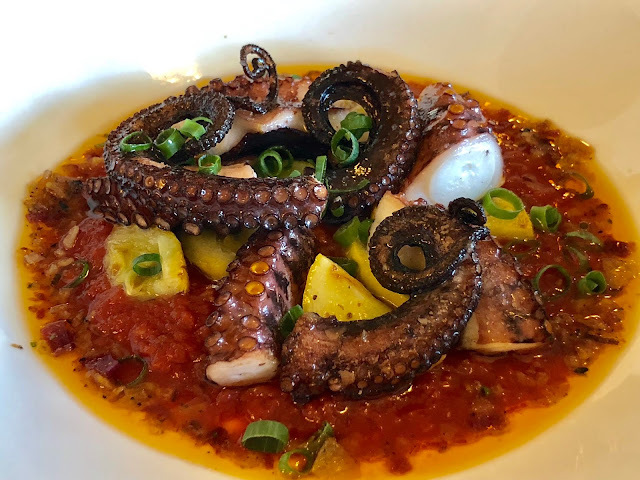 The Tako (24) looked amazing and was cooked perfectly. We did however think the sauce could use more heat or flavor. Still really good. 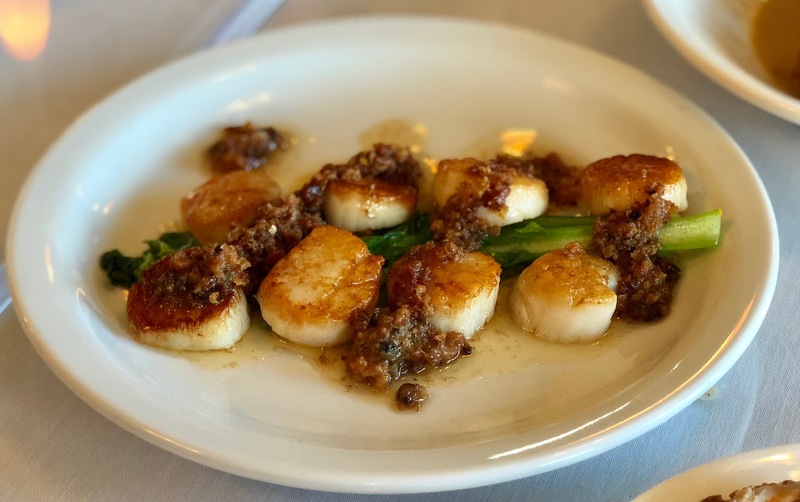 The XO Scallops ($27) were also cooked perfectly. Delicious dish and a good portion of seafood here. 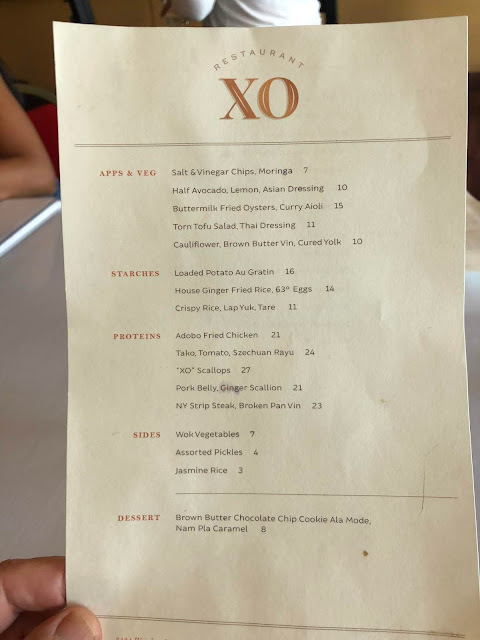 The XO Sauce really did not jump out for me and I wish it did. 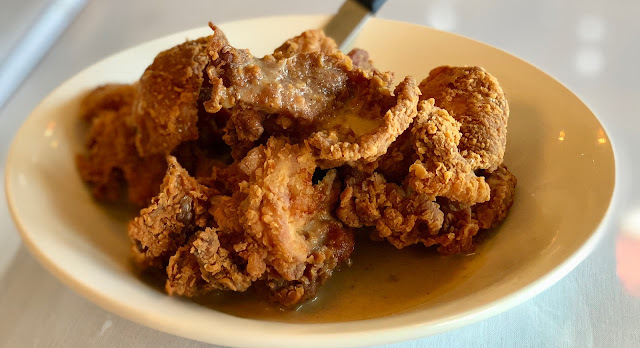 The Adobo Fried Chicken ($21) was one of my favorite dishes. Crunchy outside and moist inside chicken with a vinegar Adobo Sauce on the bottom of the plate. The crunchy skin is addicting and the Chicken is boneless. 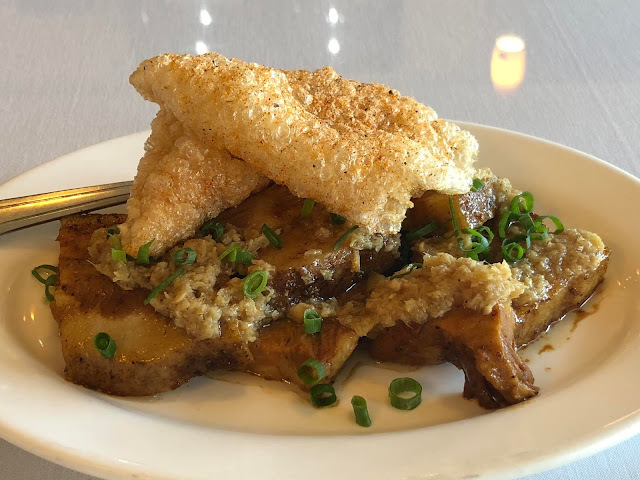 The Pork Belly ($21) was topped with a large Pork Rind was devoured by my Daughter. The Pork was very moist and if you love Bacon you will love this. Everything was good here including the service. Our waitress and the staff was very good and always nearby to refill water or check to see if we were happy. 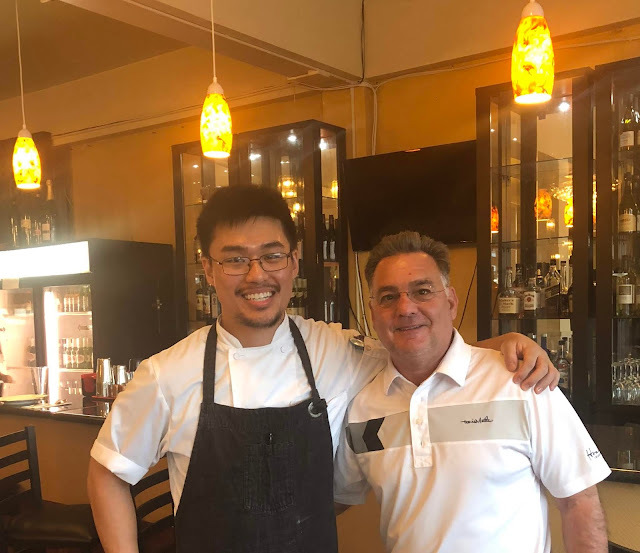 Chef/Owner Kenny Lee also visited our table as did Sous Chef, Aleina Chun. Both asked how we enjoyed the food and engaged us which I really liked. Makes me want to return to support them. CAULIFLOWER IN BUTTER SAUCE - DA BOMB!